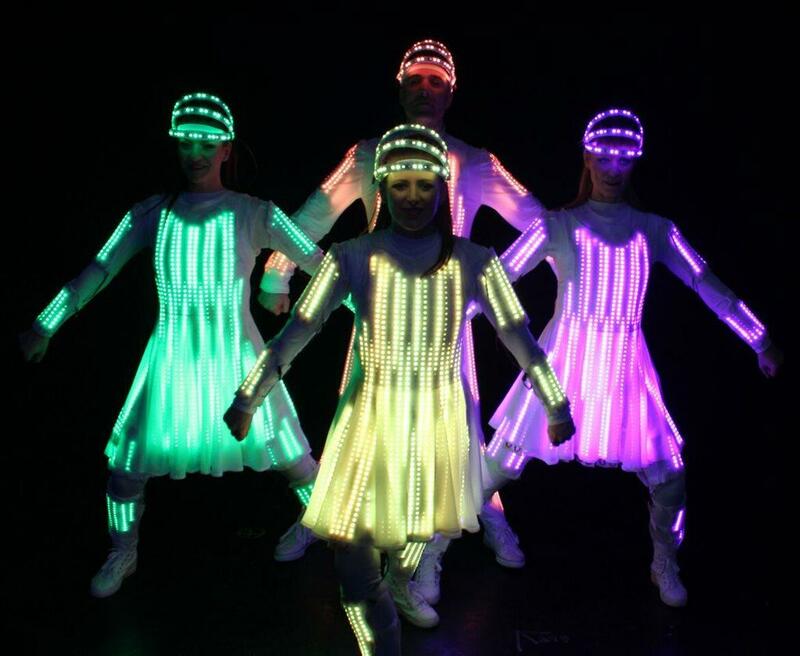 Supernova is a brand new dance show that marries a sharp choreography with a vibrant soundtrack and for the first time, all-over body graphics. 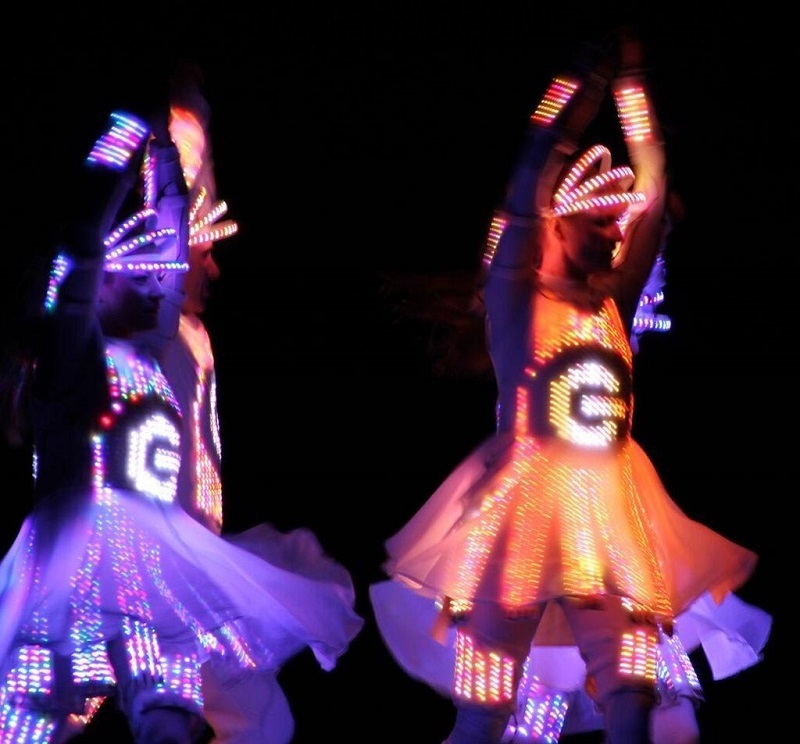 Featuring four professional dancers and a soundtrack that ranges from electronica to blues, this is the first show to use Pixel Video Suits. As the dancers perform, video sequences are displayed on their light suits – colours, shapes, graphics and of course, logos. 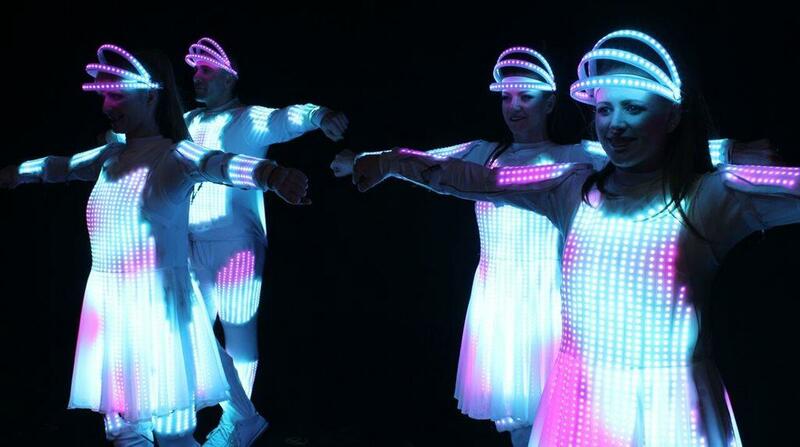 The performers form an organic, fluid video screen, with images appearing on each individual performer or scrolling across the group as they move on stage. The effect is stunning, beautiful and highly memorable. Supernova premiered at The Gadget Show Live 2015, in Birmingham’s NEC. It features choreography by Paul Domaine (Kylie Minogue, George Michael, X-Factor, Dancing on Ice, Ford, Jaguar, American Music Awards), and is directed by Alix Wilding. 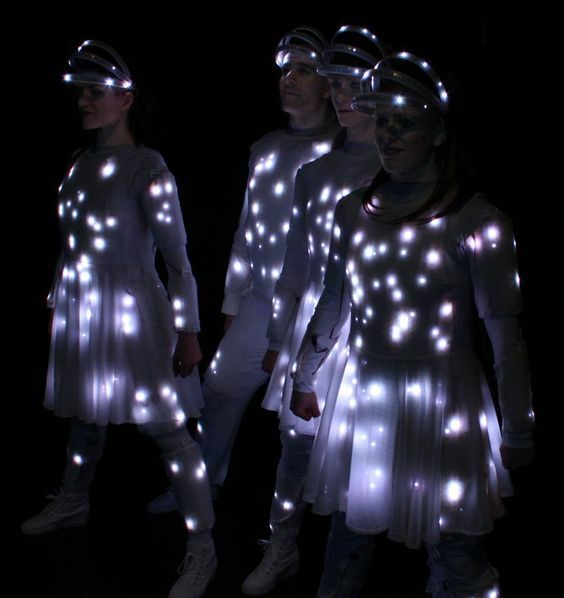 The LED technology and embedded media servers have been incorporated into tailored dresses and suits that are custom-designed in collaboration with Craig Parr (Alexander McQueen, Istituto Marangoni). The elegant styling enhances the human form, highlighting the precision and grace of the dancers’ movements. Animated or static client logos, graphics and themes can be programmed to appear across the performers’ bodies at the high-point of the show.